How Alias Uses Scanned Mesh Data With Surfacing. With so many companies embracing 3D scanning but with CAD systems only being able to open an STL file, what can you do to recreate a 3D model from your mesh data when your CAD system can’t create features from the mesh? Autodesk Inventor’s mesh enabler can turn a mesh (i.e. STL file) into a solid body, but what if you need to be able to work with the mesh data and change it? Born out of necessity, the hybrid surfacing/mesh environment came from Automotive technical surfacers and clay modellers needing to communicate better. They work side by side, while the clay modelers are working with their hands the technical surfacers are creating a digital model, so it made sense for Alias to be able to scan in the clay model and be able to create surfaces from the mesh and fine tune the clay surfaces imperfections. 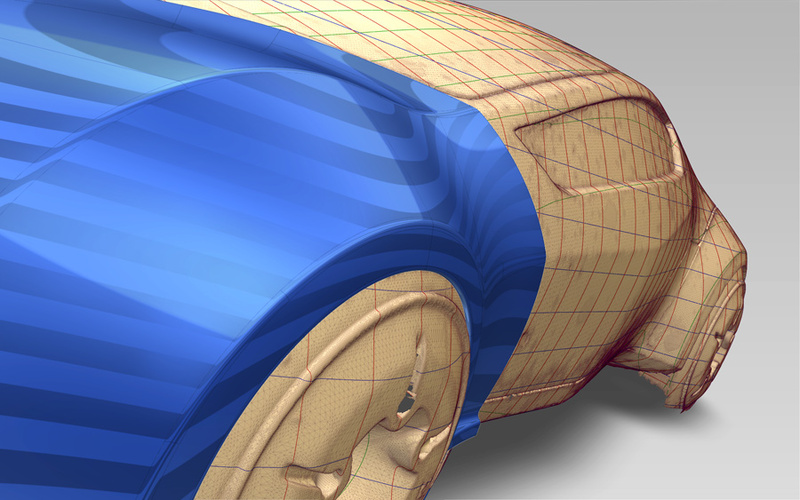 Autodesk Alias‘ Mesh to Surface tool allows users to create surfaces from mesh data, giving you a unique hybrid modeling environment with precision Class-A Surfacing tools to create the best production ready surfaces in the world. With a mixed modeling environment, you can integrate NURBS data into large mesh data (millions of polygons) so you can evaluate and refine the model without resurfacing the entire mesh. Feature extraction tools let you extract surfaces instead of recreating them. Automatic surface reconstruction automates processes too. Other tools allow users to import and configure scan data, clean up and simplify (cutting, smoothing, hole filling, reducing mesh). The reverse engineering capabilities to Alias are unique, and I don’t believe any other CAD package out there does what Alias can do. Sure, there’s software that comes with 3D scanners that will do feature recognition for solid bodies, but that’s where it stops. You still need to bring it into another CAD system and work with the data. Having said that, Alias isn’t a Mech-CAD package, so if you want to be able to do solid-modelling, Alias and Inventor are associative, so you can bring in your surface into Inventor and if the surface changes, the model in Inventor will automatically update. 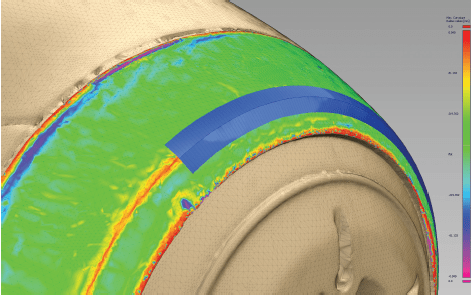 Bi-directional interoperability enables Alias users to directly read Inventor data too. Using Alias Surface and Inventor with it’s mesh enabler side-by-side would be ideal, but the purpose of this article was to highlight Alias’ hybrid modeling environment. In terms of other CAD environments, Alias will work with all the major CAD vendors like Unigraphics, Pro/E (Creo), CATIA & Solidworks. Autodesk also gives users interoperability using AutoCAD’s DWG format and 3ds Max Design & Maya can import Alias files natively too to provide the ultimate in visualisation. Dezignworks has an add-in for Autodesk Invenor that has been on the market for several years and does teh same thing.